The UK Government has a Water Abstraction Plan. This was updated on 11th April 2019 – here. I posted before about this. Most businesses taking more than 20,000 litres of water a day directly from rivers or groundwater require an abstraction licence. The Plan document states – We will report to parliament by May 2019 on progress made on abstraction reform. The Plan document states – the Environment Agency will publish updated abstraction licensing strategies for 10 catchments by 2021. The Plan document states – We are planning to move abstraction and impoundment regulations into the environmental permitting regulations. The move will provide a more modern and consistent legal framework for the day to day management of abstraction. We expect to consult on the detail of the move in early 2020. Following Catfield, and in accordance with this Plan, the Environment Agency has begun reviewing and withdrawing time limited abstraction licences in the Fens. The Department of Housing, Planning and Local Government has published the (second) River Basin Management Plan 2018-2021 for Ireland. An earlier RBMP had been published. This second RBMP plans on the basis that Ireland is defined as a single River Basin District – the Ireland RBD (NOT including Northern Ireland). The areas bordering Northern Ireland are included in two other River Basin Districts – the North Western RBD and the Neagh Bann RBD that are run from Northern Ireland (part of the UK, a separate country and currently exiting the EU). The River Basin Management Plan for Ireland 2018-2021 is here. RBMPs set out the actions that an EU member state will take to improve water quality and achieve ‘good’ ecological status in water bodies (rivers, lakes, estuaries and coastal waters) by 2027. EU member states are required to produce river basin management plans under the EU Water Framework Directive (WFD). BREXIT : it is not yet clear how River Basin Management planning will occur in the UK going forward. I will issue a separate Blog on this, when there is further information. Water quality in Ireland has deteriorated over the past two decades. This second RBMP provides a more coordinated framework for improving the quality of waters — to protect public health, the environment, water amenities and to sustain water-intensive industries, including agri-food and tourism, particularly in rural Ireland. The Irish River Basin District (RBD) covers an area of 70,273km2, with 46 catchment management units — consisting of 583 sub-catchments, with 4,829 water bodies. With regard to protected areas within the District, there are 140 designated bathing waters, 64 shell fish waters, 47 nutrient sensitive areas and 358 special areas of conservation (SACs) with water dependency. These SACs are geographically concentrated along the western seaboard – with a significant overlap between high-status waters and SACs. The RBD has a population of around 4.76 million, with 33% of people living in cities, 29% in towns and 38% in rural areas. The requirement for water and waste-water services reflects these spatial patterns. Nationally, the economy is strongly export-focused, but the sectoral drivers of economic growth across the RBD are diverse – with the agriculture and food sectors being particularly important in rural areas. Key measures during the first RBMP included the licensing of urban waste-water discharges (with an associated investment in urban waste-water treatment) and the implementation of the Nitrates Action Programme (Good Agricultural Practice Regulations). The urban waste-water licensing made significant progress in terms both of compliance levels and of the impact of urban waste-water on water quality. The Nitrates Action Programme created an environmental baseline which all Irish farmers must achieve and has resulted in improving trends in the level of nitrates and phosphates in rivers and groundwater. (1) an Agricultural Sustainability Support and Advisory Programme to be implemented by 30 new Advisors — funded by Department of Housing, Planning and Local Government (DHPLG), Department of Agriculture, Food and the Marine (DAFM) and the dairy co- ops — who will work under Teagasc and the dairy co-ops. The Advisors will work on a one-to-one basis with farmers to bring about behavioural change through improved agricultural practices in areas which have identified pressures on water bodies. (2) Local Authority Support and Advisory Teams to carry out scientific assessments and to drive the implementation of mitigation measures at local level. Recruitment of investigative assessment personnel commenced in Quarter 1 2018 and provision has been made for up to 43 specialist staff to be in place by mid-2018. These resources will be assigned across the five regions. (3) Agri-environment schemes implemented through the Rural Development Programme (RDP) to lead to investment in manure storage and improved nutrient utilisation. In particular, the targeted approach to the Green, Low-Carbon, Agri- Environment Scheme (GLAS), which has 50,000 participants, is intended to ensure appropriate supporting measures on farms to protect and improve water quality. (4) improved compliance with the existing Good Agriculture Practice Regulations through implementation of the enhanced Nitrates Action Programme (NAP) for 2018–2021 and of the associated inspection regime. The Programme entails new strengthened water- protection measures, focused on intercepting and breaking nutrient transport pathways and on preventing sediment and nutrient losses to waters. (5) a National Inspection Plan 2018–21 for domestic waste-water treatment systems, currently being finalised by the EPA – this will use the outputs of the catchment characterisation work to further improve the risk-based approach to inspection of septic tanks. It is expected that approximately 1,000 inspections will be carried out by local authorities nationally each year. (6) significant planned investment in urban waste-water collection and treatment infrastructure. Over the period 2017–2021, the plan is for Irish Water to invest approximately €1.7 billion in waste-water projects, programmes and asset maintenance. (7) a register of water abstractions (held by the DPHLG), who will consult on a proportionate and risk-based framework for the regulation of abstractions to ensure continued sustainable use of our water resources. The EPA will continue work on assessing risk due to abstractions, making use of new information as it emerges during the second cycle. A large group of relevant industry, public sector and civil society organisations have come together to create a (water) Catchment Management Declaration. This declaration is here. Information about the context for the declaration is here. HRH The Prince of Wales speech at the launch of the declaration yesterday is here. UPDATE 3rd August : the 2017 Regulations are now notified to the EU and to the WTO. The EU notification gives detail, and is here. (6) the Devolved Administrations (Scotland, Wales and Northern Ireland) will consider appropriate enforcement mechanisms, regulators and timescales according to devolution settlements. The summary of DEFRA responses is here. Legislation is expected by the end of 2017. This is a UK initiative, and is unconnected with the EU. The US has detailed rules for underground storage tanks (USTs), these changed in 2015. Follow this link for access to those rules and guidance on them. 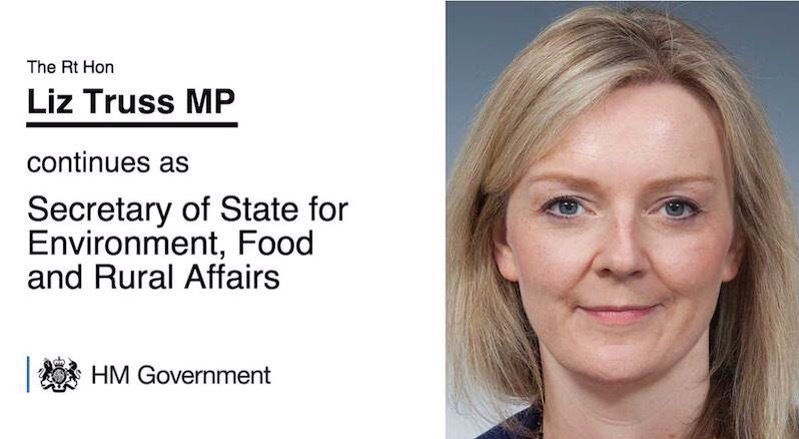 Welcoming the continuation of Rt Hon Liz Truss MP as Secretary of State for UK Environment, Food and Rural Affairs (DEFRA). DEFRA only works directly in England, by concordat works closely with the devolved administrations in Wales, Scotland and Northern Ireland, and generally leads on negotiations in the EU and internationally. DEFRA’s work and priorities are delivered by 35 separate agencies and public bodies, listed here. 26th March 2015: the European Commission referred the UK the Court of Justice of the European Union over its failure to ensure that urban waste water is adequately treated in 17 agglomerations (European Urban Wastewater Directive). In the EU, Member States need adequate collection and treatment systems for urban waste water, as untreated water poses risks to human health, inland waters and the marine environment. The EU has taken legal action against the UK, and other member states, repeatedly for breaches of the European Urban Wastewater Directive. In four of the agglomerations in question in this 2015 action (Banchory, Stranraer, Ballycastle, and Clacton), treatment is inadequate, and one agglomeration, Gibraltar, has no treatment plant at all. In ten other agglomerations, where the waste water discharges into sensitive areas such as freshwaters and estuaries, the existing treatment fails to meet the more stringent standards required for such areas. The areas concerned are Lidsey, Tiverton, Durham (Barkers Haugh), Chester-le-Street, Winchester Central and South (Morestead), Islip, Broughton Astley, Chilton (also known as Windlestone), Witham and Chelmsford. EU legislation on urban waste water treatment dates back to 1991, with long lead times for the implementation deadlines. Member States had until the end of 1998 to ensure stringent treatment for wastewater from agglomerations discharging into sensitive areas. They had until the end of 2000 to ensure appropriate treatment from large agglomerations discharging into undesignated waters and until the end of 2005 for discharges from medium-sized agglomerations and discharges to freshwater and estuaries from small agglomerations. The case also concerns excessive spills from storm water overflows in collecting systems serving the agglomerations of Llanelli and Gowerton. Innovative and environmentally positive sustainable urban drainage solutions are now being implemented to improve the situation. However the current spill rates are still too high and compliance is not foreseen before 2020. The deadline for having in place compliant collecting systems for these agglomerations was end 2000. This post will be updated as developments occur.